Context: Dengue fever frequently causes thrombocytopenia for which there is no satisfactory treatment. Aim: To evaluate the effect of vitamin E on thrombocytopenia in dengue fever. Settings and Design: A tertiary teaching hospital during a recent outbreak of dengue fever in the area. Materials and Methods: Patients of dengue fever (as per WHO criteria) with thrombocytopenia and platelet counts between 10 × 10 3 /mm 3 and 100 × 10 3 /mm 3 seen during September 1, 2010 to November 30, 2010 were enrolled. After detailed history and clinical evaluation, the patients were randomized to two groups - group I which received vitamin E 400 mg (Evion, Merck) once daily along with standard treatment and group II which received standard treatment only. The platelet counts, bleeding manifestations, requirement for platelet transfusion were serially monitored for up to 1 week in these cases. Statistical Analysis Used: Percentage, mean, standard error of mean, Mann-Whitney U test, and Chi-square test. Results: We enrolled 66 cases (group I - 33 and group II - 33). Mean platelet count at baseline in both the groups was similar (group I - 28.39 ± 1.61 × 10 3 /mm 3 and group II - 27.64 ± 1.65 × 10 3 /mm 3 ) (P > 0.05). We observed that the mean platelet count on day 4 in group I (vitamin E) was significantly higher (Mean - 122.19 ± 9.98 × 10 3 /mm 3 ; CI 95% -102.63 × 10 3 /mm 3 - 141.76 × 10 3 /mm 3 ) than in group II (Mean - 92.57 ± 7.93 × 10 3 /mm 3 ; CI 95% - 77.03 × 10 3 /mm 3 - 108.11 × 10 3 /mm 3 ) (P = 0.0436). Similar findings were also observed on day 7 in the two groups. Platelet transfusion was required in less cases in group I [2 out of 33 (6.06%)] as compared to group II [5 out of 33 (15.15%)]. Conclusion: We conclude that vitamin E is beneficial in thrombocytopenia in dengue fever and results in faster increase in the platelet counts. Background: Concurrent epidemics of both dengue fever and leptospirosis are known to occur in the tropics; however, it is unclear whether coinfection is associated with different clinical manifestations and outcomes. Materials and Methods: Medical records for patients with serological evidence of leptospirosis, dengue, and coinfection from January 2007 to December 2008 were abstracted using a standardized abstraction form. The patients' demographic data, underlying diseases, clinical manifestations, laboratory data, and disease outcomes were retrospectively analyzed. Results: The frequency of leptospirosis was 15.8% (287/1814), while that of dengue was 14.8% (239/1610) and coinfection was seen in 1.3% (17/1309). Highest mortality of 29.6% (5/17) was seen in coinfected cases, followed by leptospirosis (14.6%) and dengue (3.7%). Conclusion: In the tropics, leptospirosis and dengue can coexist and increased awareness of coinfection, and an enhanced ability to diagnose it early in illness, will help guide the appropriate use antibiotics and supportive measures to reduce mortality. Introduction: Tsunami struck the entire coastline of Tamil Nadu on 26 th December 2004. After tsunami an outbreak of measles was reported by media in Cuddalore district due to overcrowding of people in relief camps. We had to investigate and report within 12 hours upon this outbreak of measles and determine whether it was related to the tsunami. 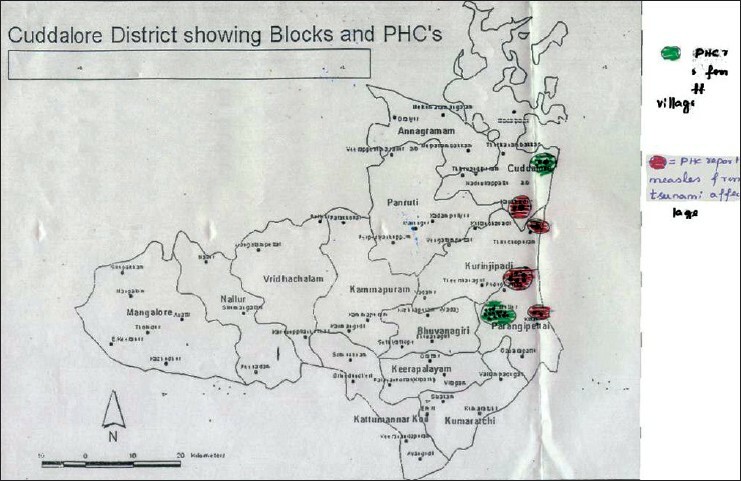 Materials and Methods: Investigation was done by interviewing health care workers, by visiting villages from where measles was reported and confirmed serologically among children, by looking for clustering of cases and probing for possible reasons for the outbreak. Results : By the day the investigation was carried out, 27 cases had been reported. Of these, 13 cases were from a village not affected by tsunami. There was clustering of cases in a single street in this village. Other reported cases were from villages affected by tsunami, but there was no clustering. No cases were reported from relief camps. All the affected children were above 3 years of age and were immunized previously against measles. No data were available on occurrence of measles in previous years, but it was ascertained that cases of measles occurred around the same season. No common source was identified. Interview with the health workers revealed that reconstituted vaccine was used more than 4 h after reconstitution. A faulty technique was used in route of administration in the immunization. Health workers also said that after the age of 1 year a non-immunized child was not given the vaccine. Conclusions: There was a localized outbreak of measles, but was not related to tsunami. Probable source could not be identified. Possible reasons for outbreak were the faulty use of vaccine and technique of administration. This investigation shows that though in some field situations it may not be possible, or even necessary, to carry out a full-fledged epidemiological investigation, following the epidemiological principles can lead to concrete conclusions. Objective: To assess pandemic Flu A H1N1 in Iran and lessons learnt the study was performed in order to find out it's health impacts in the community. Materials and Methods: The overview is based on literature identified through a search in PubMed and on official reports from WHO and the disease control center of I.R.Iran. Findings: As of December 30, 2009, a total of 3672 confirmed cases of human infection with a novel Influenza A (2009 H1N1) virus had been reported in Iran with 140 deaths. Conclusion: Good management performed by Iranian Ministry of Health and W.H.O collaboration to reduce the mortality and morbidity related to the disease. For the next pandemic situation different guidelines for different health policy in both national and international level may be required. Helminthic contamination of fresh vegetables is common. 116 samples of Coriandrum sativum was processed by Baermann funnel method for recovering Strongyloides stercoralis larvae which were identified by their morphology. The prevalence rate of contamination with larvae was found out. Out of 116 samples, 73 (63%) samples were harboring the parasites and 43 (37%) samples had no larvae. Among 73 positive samples, 25 samples contained rhabdatiform larvae, 12 contained filariform larvae, and 36 contained both types of larvae. 63% prevalence rate of contamination of Coriandrum sativum in Karimnagar is the definite risk factor for acquiring infection by farm workers, handlers, transporters, and consumers of this vegetable. This high prevalence of larvae acts as an environmental source of the parasite; especially the infective filariform forms constituting 65% of the contaminated samples. Larvae can spread from the source through direct contact while handling the vegetable, necessitating estimation of asymptomatically infected persons and burden of the parasitic infestation. Background: Diphtheria is still a fatal disease even in the era of universal immunization. Diphtheria myocarditis, one of the serious complications of respiratory diphtheria may cause death if not recognized and treated properly. Aims and Objectives: To determine the outcomes of cardiac involvement in respiratory diphtheria. 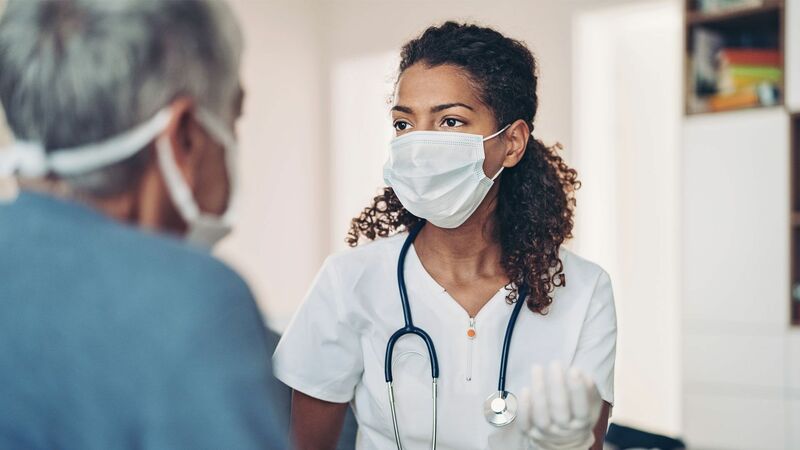 Materials and Methods: One hundred (n = 100) patients with respiratory tract diphtheria were evaluated in respect to cardiac involvement. All patients were closely monitored for a minimum period of 4-6 weeks from the onset of respiratory symptoms. Continuous ECG monitoring including blood biochemistry (SGOT, CPK-MB, and Troponin-T) were done in each case. Results : The most common symptoms were throat pain seen in 94 cases, palpitation in 56 cases, bull neck in 40 cases, shortness of breath in 12 cases, fever in 9 cases, and nasal regurgitation in 8 cases. Most common complication observed was myocarditis seen in 70 patients and majority of patients (60) were asymptomatic. The ECG changes were T wave inversion in 54 patients, inappropriate sinus tachycardia in 38 patients, ST segment depression in precordial leads in 8 patients, Mobitz type II block in 6 patients, Mobitz type I block in 4 patients, RBBB in 4 patients, multiple atrial ectopics in 4 patients, and sinus bradycardia in 2 patients. A total number of five patients died. Conclusions: Myocarditis was commonest and serious complication of respiratory diphtheria. Increase in vaccination coverage and improvement of socioeconomic status are all effective preventive measures to reduce the incidence of diphtheria. Background : Cancer of cervix is the most common form of cancer in females of developing countries. Cervical cancer is the best example of common human malignancy with a proven infectious etiology. The data linking human papilloma virus (HPV) infection with the epidemiology and pathogenesis of cervical neoplasia is convincing. There are various methods for detection of HPV like immunohistochemistry, polymerase chain reaction, liquid phase hybridization (hybrid capture test), in situ hybridization etc. Materials and Methods: We studied the profile of precancerous and cancerous lesions of uterine cervix and correlated human papilloma virus (HPV) presence with precancerous and cancerous lesions of uterine cervix by immunohistochemistry. Total 50 cases were first studied, analyzed, and classified histologically and then immunohistochemistry was done. Results : Majority of the cases 36/50 (72%) under study are squamous cell carcinomas, which is the most common carcinoma found in the uterine cervix. HPV positivity for all cases of cervical carcinoma was found to be 34.7% (16/46 cases), for carcinoma in situ, it was 50% (2/4 cases). It can be thus hypothesized that with decreasing differentiation, there is loss of expression of HPV in the cervical epithelial cells. Conclusion: To conclude, though this study confirms the correlation of HPV presence with precancerous and cancerous lesions of uterine cervix, it also suggests that there must be other co-factors involved in cervical carcinogenesis as well. Background: The aim of the study was to assess whether the number of sputum samples for screening of tuberculosis suspects could be minimized. Materials and Methods: It was a hospital-based cross-sectional study conducted from December 2006 to May 2008. Chest symptomatic 2810 patients were screened for tuberculosis (TB) by subjecting them to sputum microscopy using 2 sputum samples as well as 3 samples following standard procedure for sputum collection, staining, and AFB identification. Results: First sputum smear alone could detect 91.8% cases while first 2 samples together could detect 96% cases. Maximum no. of cases were diagnosed by only 2 specimen sputum smears, and added diagnostic value of third specimen was small i.e., 4%. Conclusions: Hence, 2 sputum samples as diagnostic criteria for screening of TB suspects is one way of improving the efficient use of scarce resources. Context: Establishment and kinetics of pandemic H1N1 2009 virus in Gujarat. Aims: To assess epidemiological and clinical profile of pandemic H1N1 cases and to correlate findings with signature features of pandemic agent. Settings and Design: Study was performed at a tertiary care hospital in Ahmedabad, Gujarat. Patients attending various hospitals across Gujarat for influenza-like illness were tested. Materials and Methods: Nasopharyngeal or nasal swabs collected in viral transport medium were subjected to real-time reverse transcriptase PCR using CDC-validated and WHO-approved protocols. Results: A total of 5750 samples were tested: 2620 tested positive for influenza A. 1710 were positive for pandemic H1N1 2009 virus: 910 males and 800 females with maximum positivity in the age group 18 to < 36 yrs (13.6% of total tested and 45.7% of pandemic H1N1 positive) with cough being the major clinical feature. Three distinct peaks of pandemic H1N1 2009 were observed, outnumbering seasonal flu A virus by 1.9:1. In most districts, a positivity of approximately 10-30% was observed. However, some districts showed very high positivity of >30% while some showed little incidence. This new virus is at low activity since October 2010. Conclusions: Pandemic H1N1 2009 virus is presently circulating in almost all parts of Gujarat but has been unable to replace seasonal influenza A completely. The present study corroborates the signature features for pandemic H1N1 as there is greater affection of younger age groups, appearance of successive peaks, higher transmissibility than seasonal influenza A, and differing impacts in different geographic regions. Background and Objectives: Tobacco is a major cause of increased morbidity and mortality in the world. The medical students represent one of the primary target populations for anti-tobacco programs, and thus we conducted a study to evaluate prevalence of tobacco use among medical students. Materials and Methods: This was a cross-sectional study conducted among the medical undergraduate students. Data was collected through a self-administered questionnaire. Participation in this study was voluntary and kept anonymous and confidential. The questionnaire included information about demographic data of participants and smoking patterns. "Ever use," "current use," and "never use" was defined as 'having used tobacco even once in their lifetime,' 'once in the last 30 days preceding the survey,' and 'not even once in their lifetime.' Results: The questionnaire was emailed to 225 students. 52.44% complete responses were found appropriate for analysis. 27.11% students were current tobacco users, 18.64% were 'ever users' and 54.23% students were 'never users.' 32.5% hostellers admitted using tobacco currently, compared to 15.78% day scholars. 62.5% students with positive family history of smoking were 'current smokers' compared to 45.45% 'ever users,' and 37.5% 'never users.' 68.75% current users of tobacco indicated that they would try to quit tobacco use in the future. 81.25% current users and 93.02% non-current users of tobacco were of opinion that smoking should be banned in public areas. Discussion: The findings of our study are comparable to similar studies done earlier. The preventive effect of parental supervision on the use of tobacco was quite evident in our study. There was also a positive correlation between current use of tobacco and presence of a positive history of tobacco use in family. The role of peer pressure and stress of studies are particularly important, and efforts need to be done to reduce them and to adequately educate medical students. Background/Aim: Hepatic encephalopathy (HE) is a frequent complication of liver cirrhosis, and its development heralds a poor prognosis as it is associated with shortened patients' survival. Reversibility of the precipitating factors of HE is of prognostic significance. This work was designed to study the precipitating factors of HE in patients with liver cirrhosis at Mansoura Specialized Medical Hospital, Egypt. Materials and Methods: A total of 237 consecutive known chronic liver disease patients, presented with signs and symptoms of hepatic encephalopathy, were admitted in the hepatology unit of Mansoura Specialized Medical Hospital from September 2009 to September 2010. The precipitating factors of hepatic encephalopathy were identified with the aid of clinical examination and appropriate investigations. Grades of HE and Child-Pugh scores were determined. Results: The precipitating factors of HE in our studied cases were upper GI bleeding in 87 patients (36.7%), advanced HCC in 43 patients (18.14%), infections in 37 patients (15.61%), excess protein intake in 27 patients (11.39%), electrolyte imbalance in 7 patients (2.95%), and altered bowel habits in 33 patients (13.92%). Males were commonly affected by HCC (P < 0.05) and upper GI bleeding more than female patients (P < 0.05). Male patients were commonly presented with HE (63.29%), and this gender difference reached a statistical significance among those presented with upper GI bleeding (P < 0.05) and HCC (P < 0.05). Upper GI bleeding, advanced HCC, and infections were the leading causes of death with a higher prevalence in grade IV comatose (P < 0.05), child C (P < 0.05), male patients (P < 0.05). Conclusions: Our data revealed that upper GI bleeding, advanced HCC, and infections are the main precipitating factors of HE as well as the major leading causes of death in patients with liver cirrhosis. Priority should be given to control these factors by allocation of the hospital funds, medications, and human efforts. Implementation of an effective screening program for early HCC detection all over the country should be on the top of the official health concerns. Aims: Acute renal failure is an important cause of morbidity and mortality in snake bite patients, especially in tropical countries. This study was aimed to describe clinical profile and to identify predictors of poor outcome in snake bite-induced acute renal failure. Settings and Design: This was a retrospective observational study, conducted in a tertiary care hospital. Materials and Methods: 57 patients of snake bite-induced ARF, who required dialysis, were included. Clinical history taking, physical examination, and laboratory evaluation was done. All patients received standard treatment including anti-snake venom. Patients received peritoneal or hemodialysis depending on availability of resources. The Pearson Chi-Square test was used to analyze parametric variables. Results: Prevalence of ARF in snake bite was 20.48%. Common clinical manifestations were local cellulitis (100%), oliguria (84.2%), edema (33.3%), hematuria (29.8%), altered sensorium (26.3%), and bleeding manifestations (22.8%). Common laboratory findings were albuminuria (100%), anemia (54.3%); leucocytosis (61.4%); thrombocytopenia (42.1%); coagulopathy (36.8%); metabolic acidosis (31.5%). Conclusions: Snake bite-induced ARF has mortality of 15.5%. The factors associated with mortality were presence of coagulopathy and uremic encephalopathy. Though this study is not designed to compare hemodialysis and peritoneal dialysis, the better outcome in hemodialysis group suggests the need to compare the 2 modalities of renal replacement therapy in patients with snake bite-induced acute renal failure. Background: Single dose nevirapine (sdNVP) is widely used in resource-limited settings for the prevention of mother to child transmission of HIV, but can result in NVP resistance that negatively impacts the subsequent efficacy of maternal antiretroviral therapy (ART). It is important to determine prior sdNVP exposure status to help guide treatment decisions, but systematic data on approaches to documenting previous sdNVP ingestion are lacking. Aim: With the growing body of evidence of the effects of sdNVP exposure on subsequent choices of ART, we aim to highlight some of the practical challenges that exist in documenting prior sdNVP exposure or lack thereof. Materials and Methods: ACTG A5208 Optimized Combination Therapy after Nevirapine Exposure (OCTANE) is a randomized treatment trial of protease inhibitor vs. NVP-based ART that enrolled 745 HIV-infected women in 7 African countries. Documentation of previous exposure to sdNVP (or lack thereof) was collected prospectively and intensively, as were locally-available sources of such data. Results: All 243 women who were exposed to sdNVP recalled having taken sdNVP; written documentation of sdNVP exposure was found for 73% and an additional 20% identified having ingested a NVP tablet when the tablet was shown to them. Among 502 women not exposed to sdNVP, only 10 (2%) had written documentation of lack of sdNVP exposure. NVP resistance was detected in 33 (13.8%) of sdNVP-exposed and 1 of non-exposed women. Conclusion: Maternal self-report of prior sdNVP exposure was corroborated by supporting evidence in the majority of women participating in the trial. 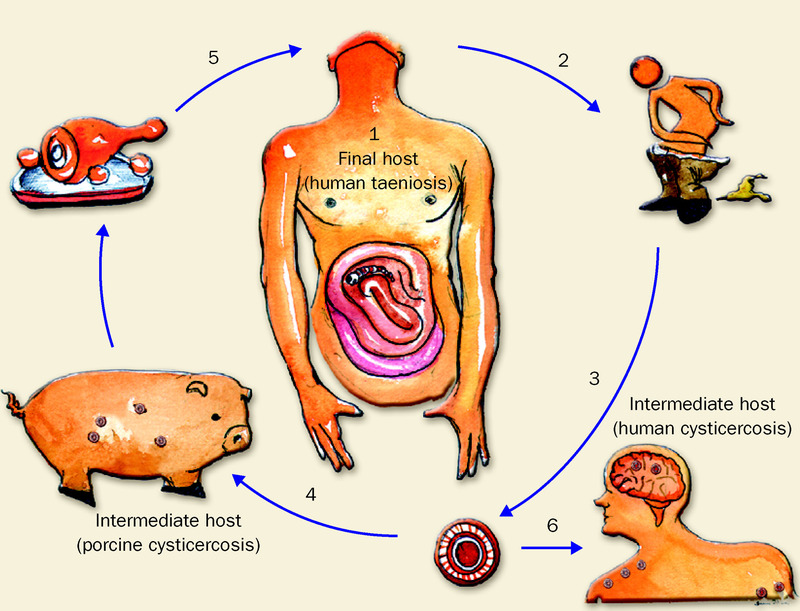 Human subcutaneous dirofilariasis (HSD) is a zoonotic filariasis caused by an infection with one of the several species of worms belonging to the genus dirofilaria. Most documented cases are attributed to dirofilaria repens. The parasites are transmitted to man by zoo-anthropophilic blood sucking insects and an infection is manifested as subcutaneous nodules. We hereby report a case of subcutaneous dirofilariasis in front of the neck, in a 40-year-old female, clinically mimicking thyroglossal cyst. An excision biopsy showed the presence of an adult dirofilaria identified as D. repens with granulomatous inflammatory reaction. Mycetoma is chronic granulomatous infection. The causative agents are fungi and bacteria. We report a case of mycetoma in 19-years-old college student having history of thorn prick on left foot. Madurella mycetomatis was isolated from the granular discharge from sinuses surgical debridement with intralesional amphotericn therapy was given. Rhinosporidiosis is a chronic granulomatous mycotic disease of man, characterized by development of polypoid lesions in the nose and nasopharynx. Urethral rhinosporidiosis is very rare. Two cases of urethral rhinosporidiosis is reported here. Mycotic keratitis is a fungal infection of the cornea, which constitute an important eye problem in outdoor workers. This infection is difficult to treat, and it can lead to severe visual impairment or blindness. Trauma is the major predisposing factor, followed by ocular and systemic defects, prior application of corticosteroids and prolonged use of antibiotic eye-drops. 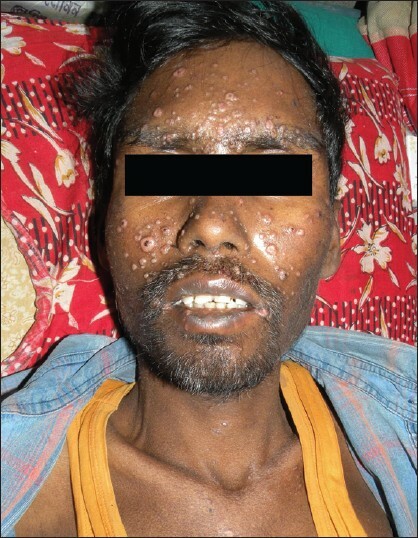 We report this case because of the rarity of endogenous Aspergillosis presenting as blindness in tropical India and review of the relevant literature. Chryseomanas luteola is non-fermenting gram-negative bacilli, which was previously known as Chromobacterium typhiflavum, CDC group Ve-1, Pseudomonas luteola, and Pseudomonas polytricha. The taxonomic status was resolved in 1987 with the placement of the organism into the new genus Chryseomonas having a single species named Chryseomonas luteola. Infectious arthritis due to Candida species is a rare disease. We report a case of infectious arthritis due to Candida tropicalis in a 27-year-old β thalassemic female patient who presented with pain and swelling in the left knee joint since the last three months. 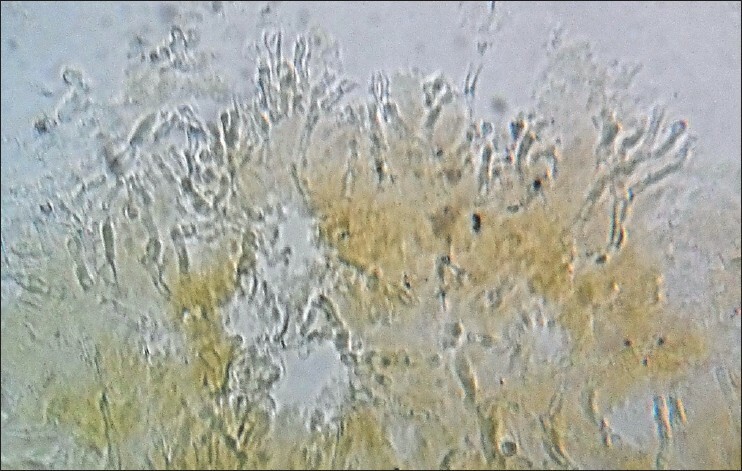 The diagnosis was established by culture of the aspirated synovial fluid, which showed the growth of Candida tropicalis. The patient was started on intravenous amphotericin B, to which the patient responded well with the subsidence of the pain and swelling of the left knee joint. The patient was discharged after a period of two weeks on oral fluconazole and was asymptomatic on last follow-up. The patient had no other predisposing factor like trauma or aspiration of the joint, except for the severe anemia, associated grade III malnutrition, and diabetes. 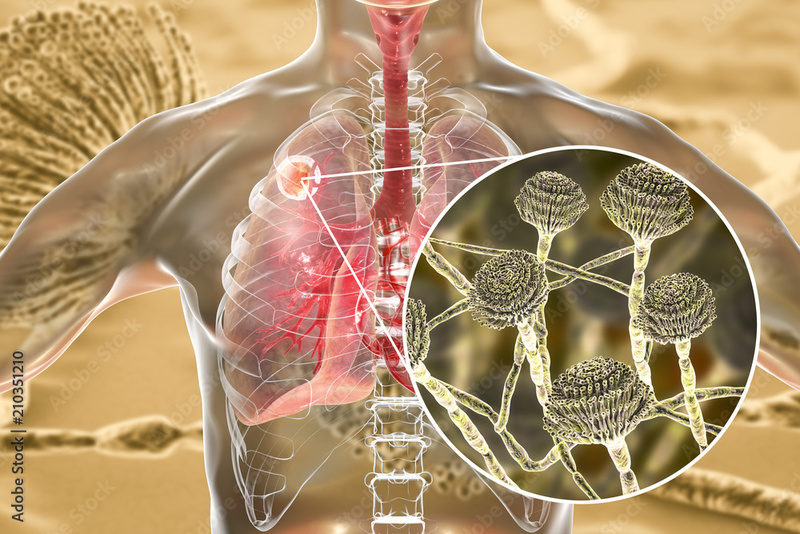 Vasculitis plays an important part in the natural history of abdominal tuberculosis. Here we report an unusual case of mesenteric vasculitis secondary to tuberculosis in ten year old girl who presented with pain abdomen and weight loss. The case was confirmed by highly positive tuberculin test and Doppler study showing altered flow in mesenteric vessels. 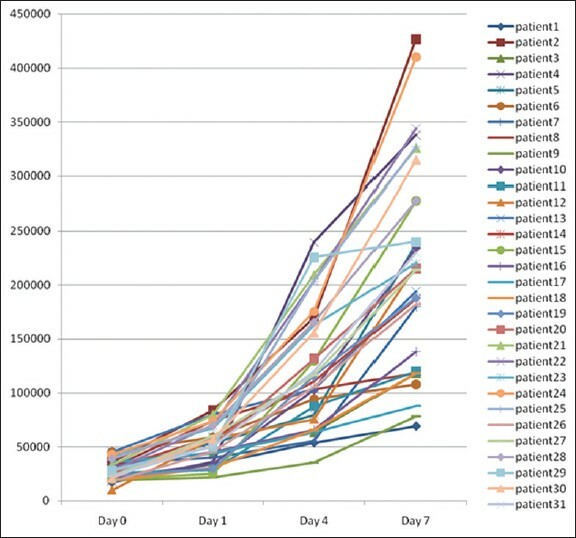 The flow pattern and patient condition improved after anti-tuberculosis treatment. Cysticercus cellulosae, the larval form of the tapeworm Taenia solium, is the causative organism of cysticercosis, in which humans are the intermediate hosts in the life cycle. Cysticercus cellulosae may become encysted in various bodily tissues, usually the central nervous system (CNS), eyes, and subcutaneous tissues. An immunologic reaction with fairly intense inflammatory signs and symptoms may be produced, and the surrounding structures may be compressed. We report a radiological study based on ultrasonography and MRI showing intraocular cysticercosis associated with vitreous detachment, which is a very rare entity. Intraocular cyst is usually associated retinal detachment but in the following case, vitreous detachment is seen, which is hence proven with the help of color Doppler study. Extratesticular localization of neurofibroma have been reported extremely rarely in the literature. We are reporting such rare case with a different presentation. A 60-year-old male patient reported twith a swelling in the scrotum, diagnosed as hydrocele and was operated. Later on, patient has developed scrotal thickness and ulcer. Edge biopsy was taken and to our surprise, on histopathology, it came as neurofibroma of the scrotal skin. Ventriculoperitoneal shunt-associated ventriculitis is a serious though under-reported nosocomial complication of neurocritical settings. The treatment of CNS Methicillin-resistant Staphylococcus aureus (MRSA) infections is usually successful with vancomycin or linezolid. Here, we report a case of ventriculitis due to MRSA following a shunt infection, which did not show clinical response to linezolid therapy. With the increasing use of invasive procedures, nosocomial infections have increased exponentially. Exercising extreme care in such CNS procedures becomes very important. Lymphatic filariasis involving the female breast is unusual but not rare, especially where filariasis is endemic. In this report, we present a 38-year-old married woman presenting with a painless mass in the left breast of 4 months duration and slightly painful masses in both axillae for similar duration. Examination revealed a small, discrete, firm, non-tender mass in lower inner quadrant of left breast with associated bilateral, tender axillary lymphadenopathy. 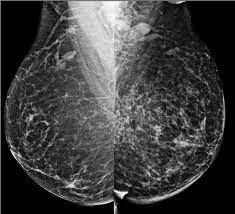 Mammography suggested a well-defined mass lesion in the left breast without any architectural distortion or micro calcifications. Ultrasonography (USG) of the breast suggested hypoechoic lesion in infero-medial quadrant of left breast and bilateral axillary lymphadenopathy. USG-guided fine needle aspiration cytology (FNAC) from the breast lump showed non-specific findings like eosinophilic infiltrate and occasional granuloma, while that from the enlarged lymph nodes in the axilla revealed inflammatory cells, giant cells, and epithelioid cells. 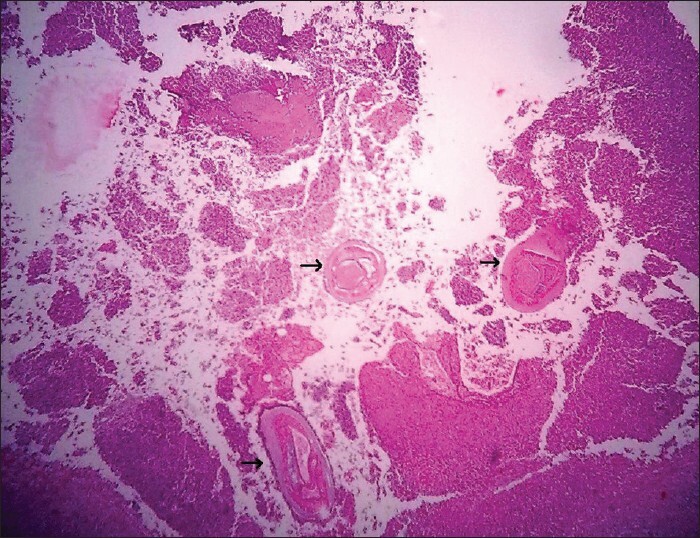 Histopathological examination of the lumpectomy specimen revealed adult microfilaria with characteristic morphology of Wuchereria bancrofti. Acute viral encephalitis is known to be caused by a wide range of viruses including enteroviruses. Here, we describe a case of 2-year-old patient of acute encephalitis syndrome from Japanese encephalitis endemic area, which was provisionally diagnosed as JE viral encephalitis but subsequently worked up for enterovirus due to atypical clinical presentation such as moderate grade fever, hypotonia, and hepatosplenomegaly along with ECG findings suggestive of myocarditis, which was successfully treated with intravenous immunoglobulins. We report a case of tuberculosis verrucosa cutis (TBVC) on the foot that had been present for more than 6 years in a 42-year-old man. He had a positive Mantoux test and a normal chest radiograph. This case demonstrates the indolent nature of the disease. The diagnosis of TBVC should be based on history and evolution of the disease, cardinal morphological features and histopathological characteristics. Adequate therapeutic response may also helpful. Osteomyelitis is an inflammatory condition of the bone, beginning in the medullary cavity and haversian systems and extending to involve the periosteum of the affected area. Although other etiological factors, such as traumatic injuries, radiation, and certain chemical substances, among others, may also produce inflammation of the medullary space, the term "osteomyelitis" is mostly used in the medical literature to describe a true infection of the bone induced by pyogenic microorganisms. 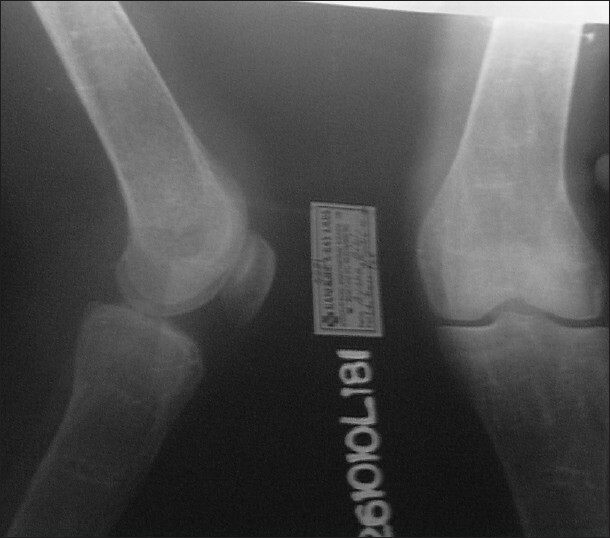 Tuberculous osteomyelitis is an uncommon disease entity. Here, we present a case of osteomyelitis of mandible leading to pathological fracture of mandible, in which pulmonary tuberculosis involvement was detected only subsequently. The oral physicians thus play a crucial role in recognizing high-risk patients and initiating prompt isolation and evaluation. Amebiasis is a common parasitic infection in the tropics. Though usually asymptomatic, invasive disease can lead to amoebic liver abscess. We report a case of pericardial rupture of amoebic liver abscess presenting with jaundice, dysphagia, and cardiac tamponade. Jaundice is a rare manifestation of amebic liver abscess. An emergency pericardiotomy was done to relive the cardiac tamponade, and liver abscess was drained through a diaphragmatic rent identified during surgery. This case highlights the catastrophic complications of untreated amebic liver abscess. Abdominal wall leiomyomas are a rare finding and are thought to follow seeding following surgical resection of uterine fibroids. There is paucity of findings of isolated abdominal wall fibroids in the literature without previous surgeries for myomectomies or presence of uterine fibroids. We present a case of a 34-year-old parous lady with no previous abdominal or gynecological surgeries presenting with a periumbilical lump of 1 year duration. The operative findings revealed a large mass in the parietal layers of the anterior abdominal wall attached to the right rectus sheath with no intra-abdominal attachments. Histopathology revealed features suggestive of a leiomyoma. We conclude that rectus sheath leiomyomas do exist and can present in a woman with no previous surgeries and hence should be borne in mind while diagnosing an anterior abdominal wall mass. Scrub typhus is an acute, febrile zoonosis, caused by an obligate intracellular bacterium Orientia tsutsugamushi (O tsutsugamushi). The disease is of greatest public health importance in rural areas of Asia and in Western Pacific Islands. The clinical manifestations of the disease range from sub-clinical disease to an organ failure. The various complications known with this disease are jaundice, renal failure, pneumonitis, acute respiratory distress syndrome (ARDS), septic shock, myocarditis and meningo-encephalitis. The complications of scrub typhus usually develop after the 1 st week of illness. We report a 60-year-old farmer with scrub typhus, who presented with multi-organ dysfunction and recovered completely with treatment. An uncommon complication of any surgery is iatrogenic retained foreign body. This condition is gossypibomas. 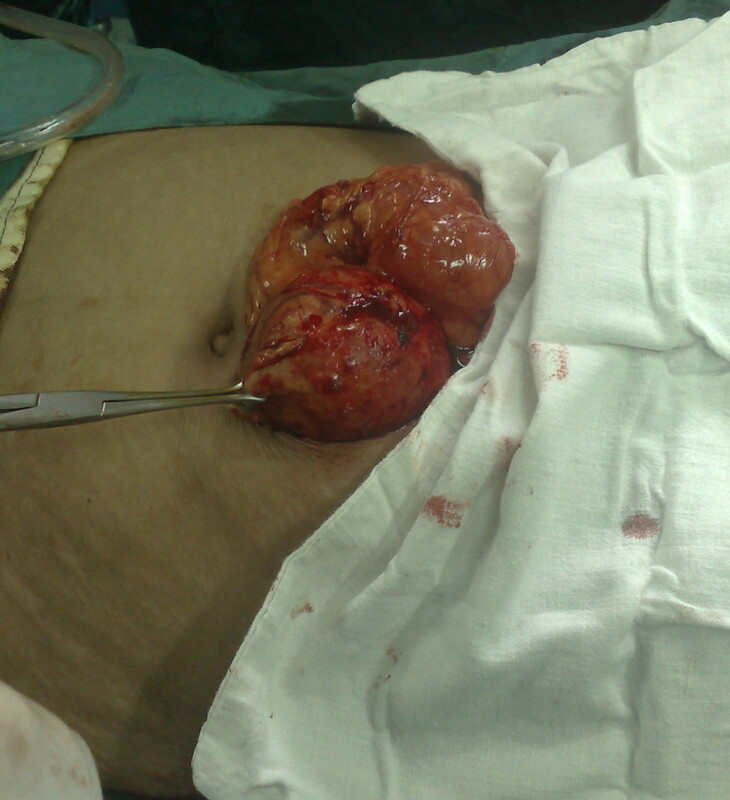 In this case report, we present cases of middle-aged females who had undergone total abdominal hysterectomy and came to us with feature of intestinal obstruction. She was diagnosed radiologically, and later a review surgery was performed. A prompt diagnosis and treatment is necessary to reduce morbidity and mortality of this condition. It is to emphasize that any post-operative patient who present to us with complaints of pain or obstruction, the differential diagnosis must include retained foreign body (gossypibomas). Histoplasmosis refers to an infection caused by histoplasma capsulatum, a dimorphic fungus. 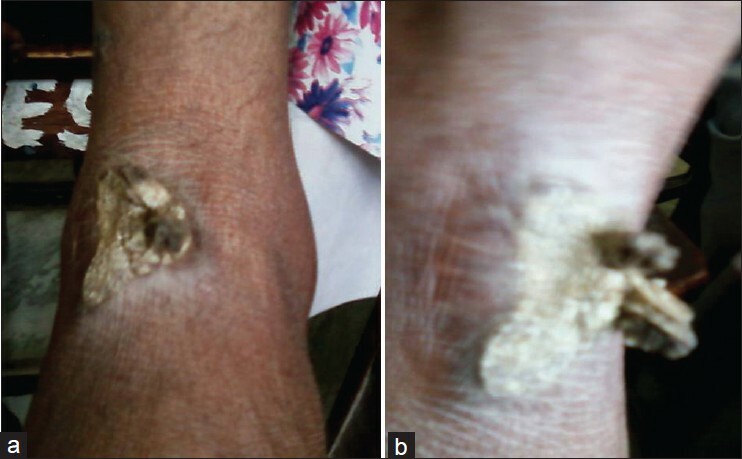 We report a rare case of cutaneous histoplasmosis in an immunocompromised patient. The diagnosis was made by the cytopathologic examination of skin scraping smear, which showed numerous intracellular and extracellular periodic acid-schiff positive rounded yeast cells. The patient showed dramatic response with itraconazole and amphotericin B. We opine that skin scrape cytology can be useful in establishing the diagnosis of the disease, specially when the other facilities are not readily available.